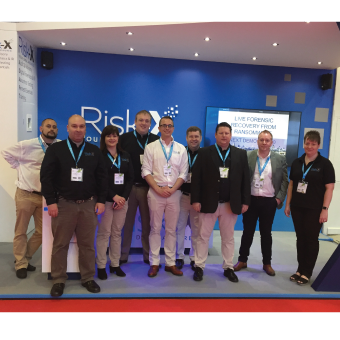 Risk-X provide digital security, advisory, audit, forensics, incident response and assurance services world-wide. 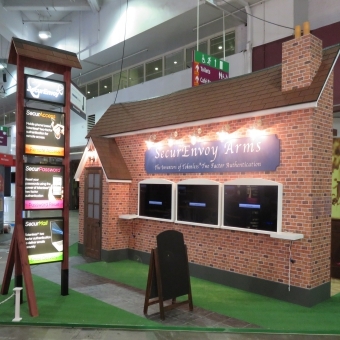 As a new company they wanted to create a memorable impression and establish their brand with a high impact exhibition presence. 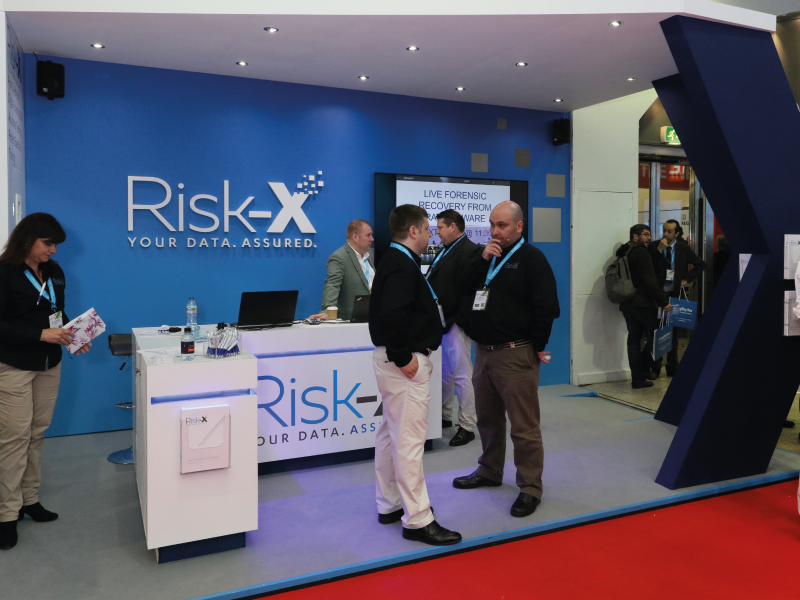 Risk-X had secured an excellent location at the entrance to the Information Security Show.. Our designers came up with an eye-catching design with a large X at the fore to establish Risk-X as a formidable presence and to help make their brand name even more memorable. 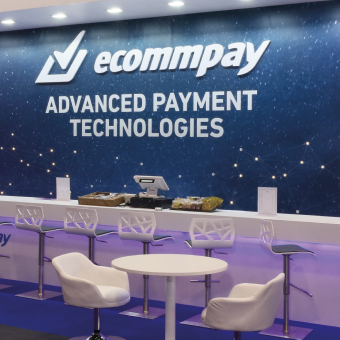 Along with a blue LED light strip this caught the attention visitors to the show and made the most of this high impact position to promote their brand. 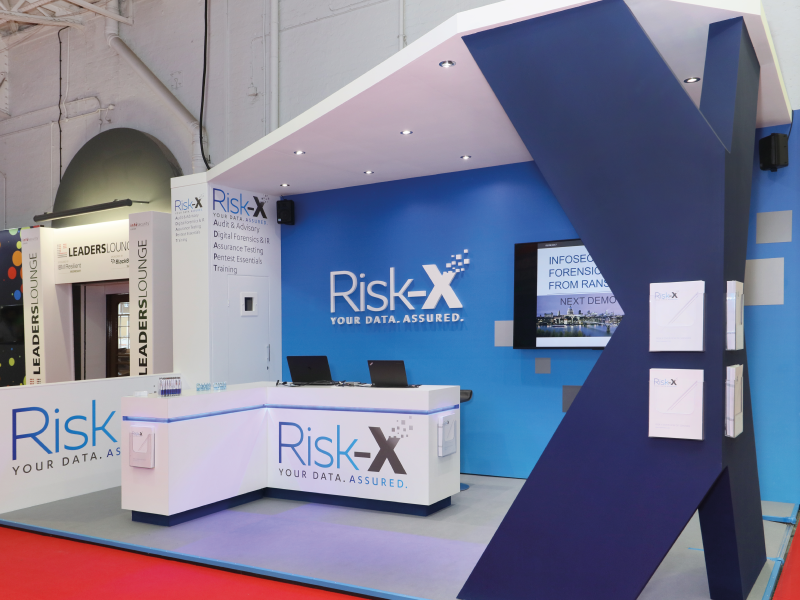 Risk-X love their exhibition presence so much that they have already booked the same space for 2018 and want to re-use the same stand. A last-minute request for overhead rather than hand-held microphones meant lead to Imagine Events sourcing the right equipment on the day that the show was opened. That’s all in a day’s work for us, so the audio equipment, stand and everything else was up and running in time for the show opening.